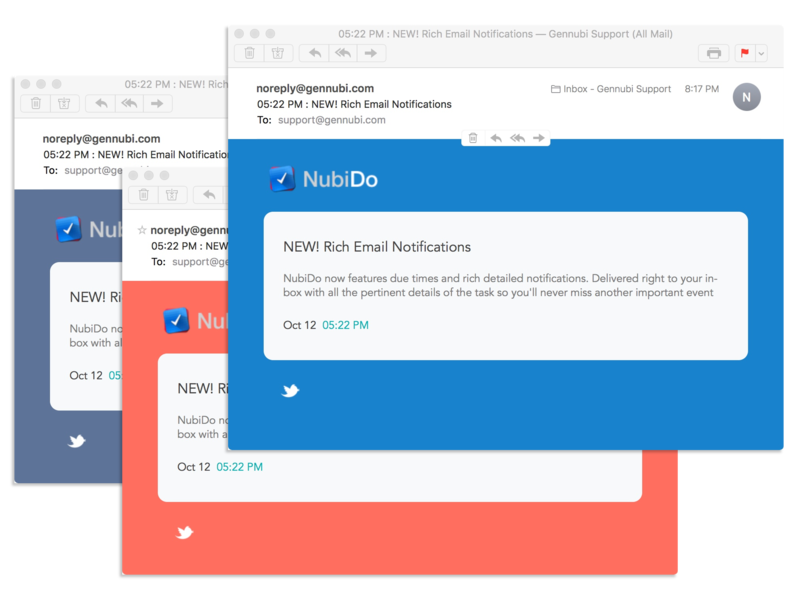 NubiDo now features due times and rich, detailed email notifications. Delivered right to your inbox with all the pertinent details of the task so you'll never miss another important event. Major improvements to the Auto-Organize algorithm to better identify the relative importance of tasks. The algorithm now takes into account the ordering of your Tags to present a more logical ordering of your tasks. Modifications to Settings such as "Upcoming Time Frame", "Sidebar Theme", and "Task Cell Configuration" now respond immediately to changes.